#100 I regret that ideologies lead us at times to two harmful errors. On the one hand, there is the error of those Christians who separate these Gospel demands from their personal relationship with the Lord, from their interior union with him, from openness to his grace. Christianity thus becomes a sort of NGO stripped of the luminous mysticism so evident in the lives of St. Francis of Assisi, St. Vincent de Paul, St. Teresa of Calcutta, and many others. For these great saints, mental prayer, the love of God and the reading of the Gospel in no way detracted from their passionate and effective commitment to their neighbors; quite the opposite. #126 Christian joy is usually accompanied by a sense of humor. We see this clearly, for example, in St. Thomas More, St. Vincent de Paul, and St. Philip Neri. Ill humor is no sign of holiness. 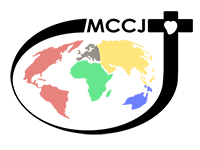 “Remove vexation from your mind” (Eccl 11:10). We receive so much from the Lord “for our enjoyment” (1 Tim 6:17), that sadness can be a sign of ingratitude. We can get so caught up in ourselves that we are unable to recognize God’s gifts. Many of you are familiar with name of St. Vincent de Paul because of the thousands of societies doing wonderful charity work in parishes throughout the world. But how much do really know of the man whose name is linked to charity? 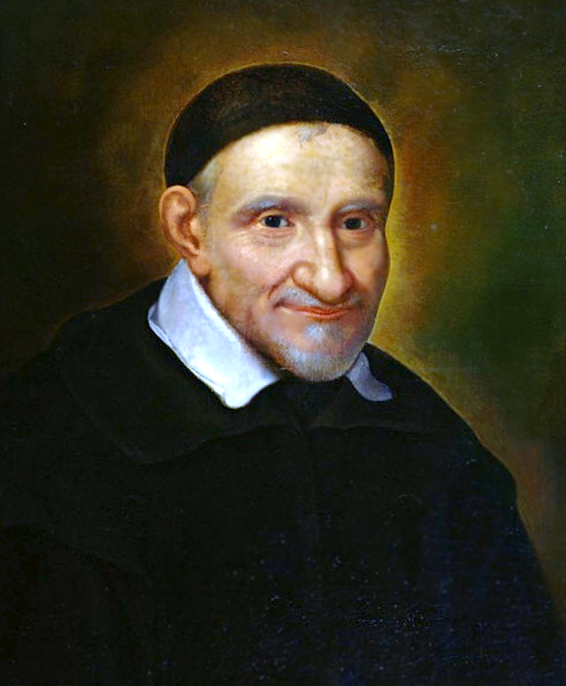 St. Vincent de Paul was French Catholic priest born in 1581. He studied for many years and was ordained at the age of 19. In 1612 he preached a mission to poor peasants. It was then that he decided to dedicate his life to serving the poor. The next year he contacted the Daughters of Charity and started bringing food and comfort to the poor. He organized the wealthy women of Parish to collect funds for missionary projects. This group would eventually grow and become the Daughters of Charity of St. Vincent de Paul. Throughout the remainder of his life, St. Vincent worked to help the poor, was zealous in conducting retreats for clergy, and was a pioneer in clerical training. We honor St. Vincent de Paul as the patron of all works of charity and celebrate his feast day on September 27.